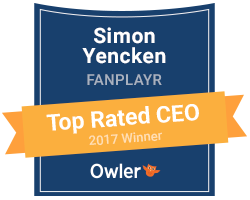 Fanplayr helps to achieve a significant increase in the conversion rate and average cart by presenting offers and communications in real time, thanks to an advanced segmentation. Mariano, howa does the Fanplayr technology work? What can the contribution be of big data in the e-commerce sector? The contribution is definitely huge. In fact Fanplayr tracks more than 70 variables about the user journey for each visitor. Big data and ways to process it fast is essential to manage and use all this information in real time. What are the next steps in your international growth? After the Italian market, where we can boast steady growth, we are now approaching the Netherlands, Spain, France and Germany, in short, the rest of Europe. Major affiliate networks like Zanox, Tradedoubler, Tradetracker, Affiliate Window, Webgains and CJ are resellers of our product. The next important step is the development in the Latin American market, where we opened an office in November 2015 and immediately found the first customers. Brazil is the most promising market. By the end of 2016 we aim to open an office in London. From 2013, Fanplayr has tripled its sales every year until 2016.